You've created content with your ideal customers in mind. Now it's time to get it in front of them. To drive quality traffic, you need to let the search engines know what your site is all about. Cue in SEO. 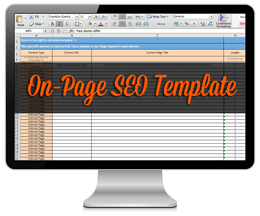 If you're unsure how to best approach Search Engine Optimization, use this free HubSpot template to plan your strategy and keep on track.